Robot Mode: Megabolt in robot mode stands rather small, but still makes for a highly detailed and posable toy. For some reason I like his legs especially, they just look cool. His face is a dead ringer for Beast Machines Megatron, especially when you snap forward the missile launcher, which lowers a visor over his head. The hands are a little spidery for my taste and I would have liked to see a hand-held weapon or something like it, but all in all this is a very cool robot mode. Alternate Modes: Megabolt transforms into a giant head on spider legs. This very strange mode nevertheless manages to look quite cool. The head looks exactly like the floating head-shaped fortress Megatron used in Beast Machines (except for the legs) and is of the right size to fit onto the shoulders of Fortress Maximus (if you take off the legs). In short, why did they put on these legs? Remarks: This robot here never appeared in the RID cartoon, of course, but rather in its direct predecessor among the Transformers franchise: Beast Machines. This series saw Megatron change himself into a giant floating head as he prepared to fuse his consciousness with the sparks of the entire Cybertronian race. 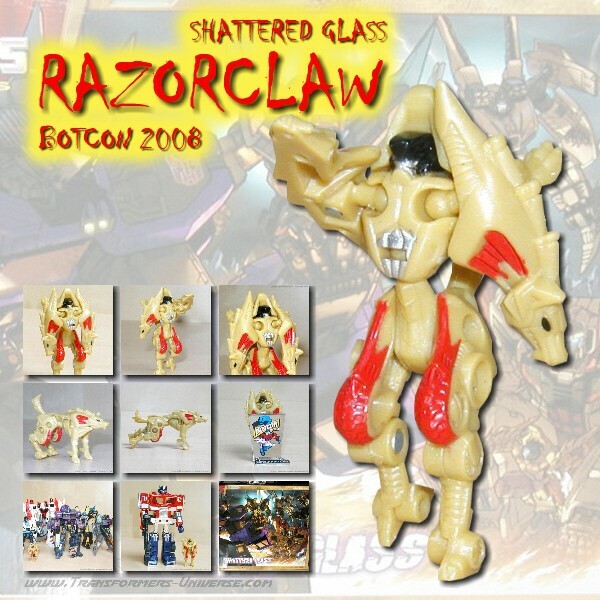 Unfortunately (or maybe fortunately) Beast Machines ended quickly and this toy never made it to the shelves. Until it was resurrected for RID. They even managed to create a reason for it to be there, based on the cartoon story. Seeing as Megatron wanted to take control of Fortress Maximus, it kind of made sense for him to change himself into a Headmaster robot so he could bond directly with Maximus instead of having to control Cerebros. Unfortunately the head mode of the toy isn't a solid fit with Maximus' neck, and it only works if you take off the spider legs. Still, even just precariously perching the head on top of Maximus gives the largest of all Transformers a truly sinister air.